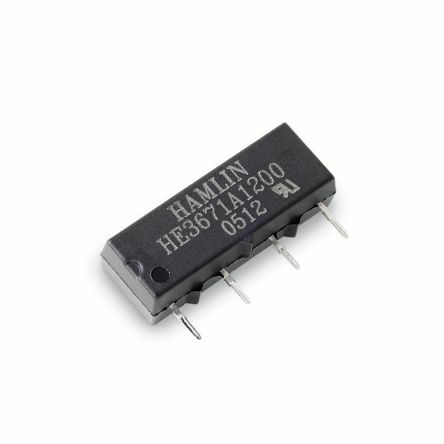 We stock a large choice of relay products for a wide variety of applications. Within our range, you will find products such as latching and non-latching relays, solid state relays, interface relays and reed relays. All from trusted brands such as our own RS PRO brand, Omron, Finder, TE Connectivity, Panasonic, Phoenix Contact and more. 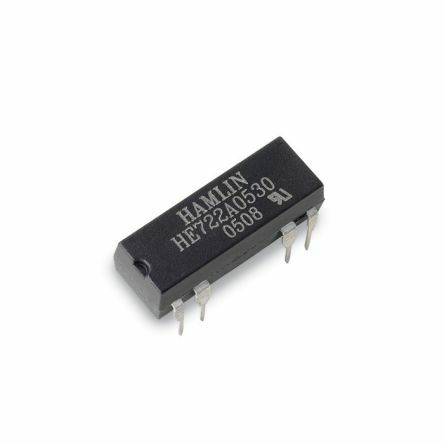 Relays are a type of switch that is operated electronically to turn on or off current within an electric circuit. Relays operate similar to a typical light switch, where power is switched on and off when the switch lever is moved, the main difference is that a relay is operated by an electrical circuit rather than manually pressed. 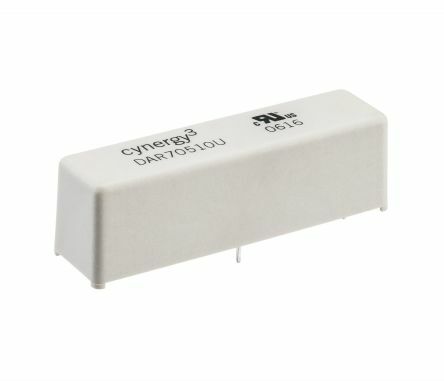 Relays have many different uses and are often utilised in situations where isolation is necessary or when a circuit needs to be controlled with a low-power signal. There are also specialised types of relay that are used for very high power applications, these are referred to as contactors. Electromechanical Relay (EMR): An electromechanical relay uses a physical moving arm, triggered by a voltage applied to the relay coil, this arm connects contacts within the output component of the relay. The movement of the arm allows an electrical circuit to be completed, allowing current to flow to the connected equipment. 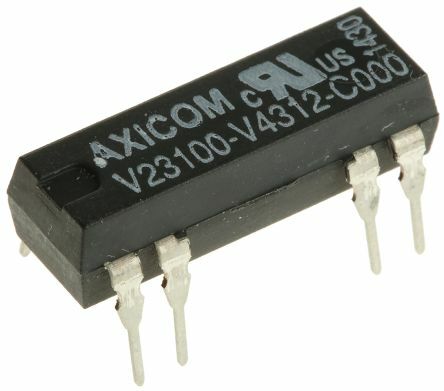 The physical components within the relays commonly make a "click" sound, which can be used as an audible operation indicator. Solid State Relay (SSR): Solid state relays provide a similar function to an EMR but these do not contain any moving components, increasing long-term reliability. SSR's feature semiconductor switching elements, typically thyristors, triacs and diodes that transmits and energises the output signal. When activated, the input signal acts like a switch that allows a high-voltage signal to pass through the SSRs output components. Washproof reed relay for DC voltageMonostableFor installation in pushdown switches (RM 2.54 mm)Low contact noise, low thermo voltageAvailable with shielding plate for electrostatic protection and spark extinguisher / damper diode.